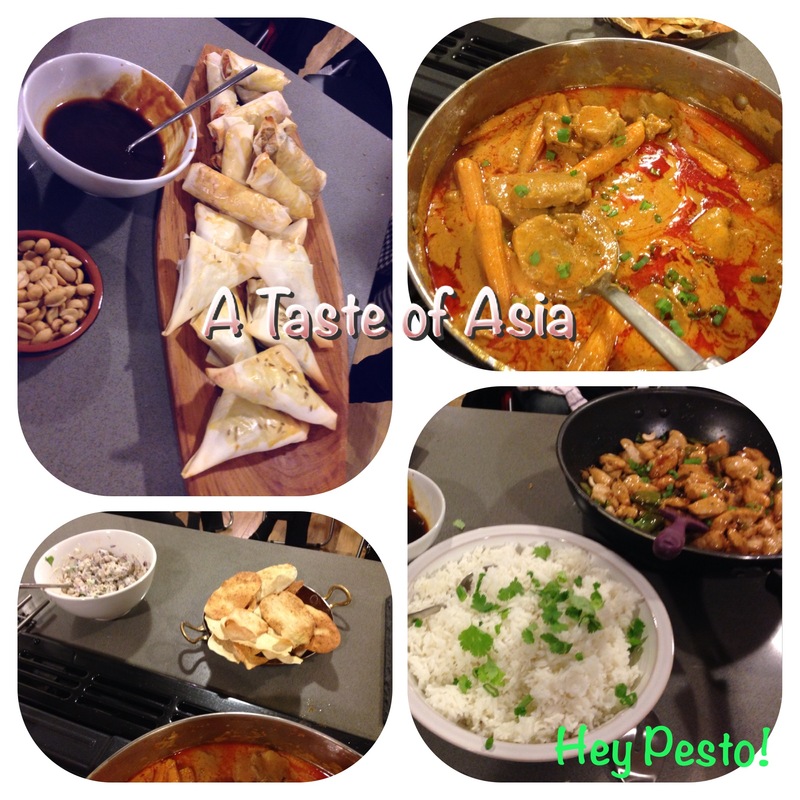 Last night we had a ‘Taste of Asia’ class with dishes from China, India and Thailand. 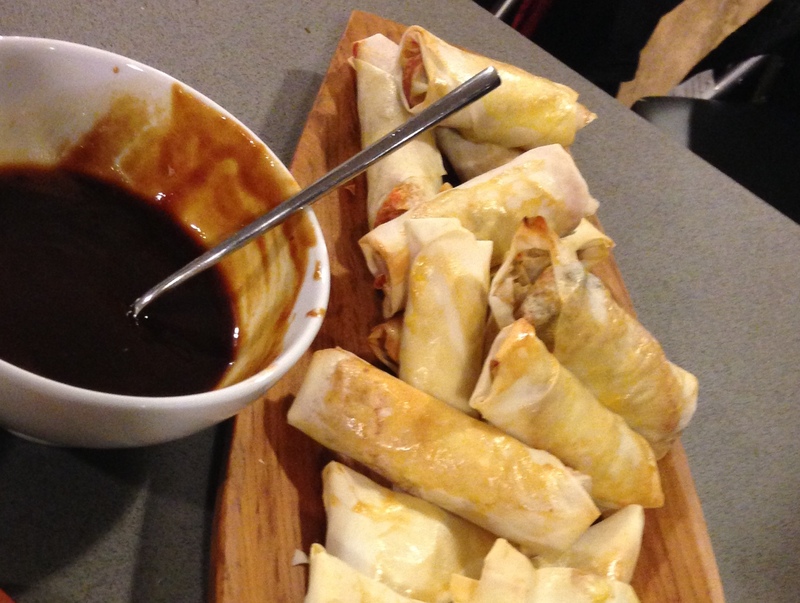 All the dishes were very well received including the baked spring rolls with hoisin sauce. Heat a tbsp of sunflower oil in a wok. Add the soy and oyster sauces, cook for another minute then set aside to cool. Seal the end of the pastry by brushing with the beaten egg. To make dipping sauce – mix hoisin sauce, fish sauce, water and chillies in a bowl. My Father was a teacher. My Grandmother was a teacher. In fact I’m sure my Great Grandmother was one too. It was assumed that I would be one too – a maths teacher to be precise. But I decided engineering would be a better option – 200 males to 40 females as opposed to a practically all female teacher training college…..and the job prospects were more lucrative too. No contest. My Father was passionate about his teaching and I could never understand how he went to the same job for 40 years. His answer was that he had a fresh intake of pupils every year with whom to share his love of English. Since that first series of classes in Kay’s lovely kitchen I did more classes in various locations including a series in Lynch’s pub – ironically my Father’s favoured watering hole. I did some in my old kitchen as well – great fun but to say it was cramped would be kind! And all the while I was planning my perfect dream kitchen. Then the opportunity arose to move house , home to be precise . I took over our family home in Tullamore and after a lot of building (and a few tears) I now have not one but two kitchens! I converted the garage to a small catering kitchen and then I got MY kitchen – a bright red one complete with my Rangemaster and with large glass doors opening out onto my Mum’s lovely garden. In fact I love my dream kitchen so much that I’m prepared to share it with anyone who wants to learn about cooking! I did a few classes towards the end of last year just to see how it worked – what a difference space makes! We even had two great days doing Christmas cooking where everyone sat down to a family style turkey dinner . So now it’s onwards and upwards . 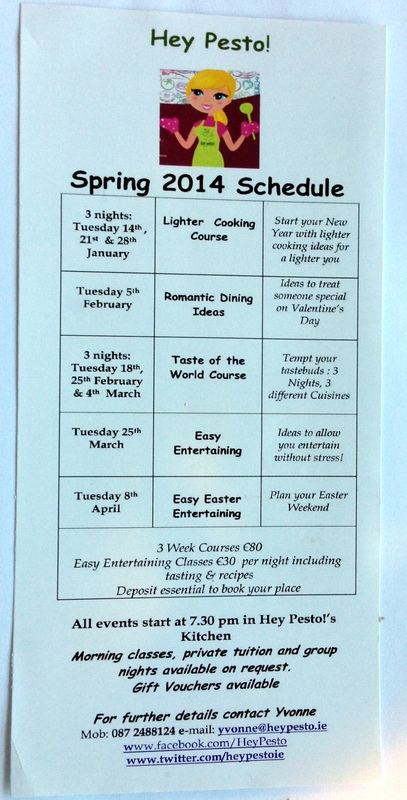 I have devised a list of classes for Spring kicking off on January 14th with a short course on Healthier Cooking. There won’t be calorie counting but it will be good food cooked from quality ingredients and I promise to cut down on my use of butter and cream. We’ll be doing dishes like healthy soups, tasty stir fries, hearty casseroles and may even be fish and chips . The classes are demo based (so far…) and then at the end you all get to taste and share the dishes prepared and then go home armed with your recipe booklet. Sometimes there’s even a glass of wine though obviously not with the Healthy Eating Course! I’m thinking of another Saturday course for Easter and a vegetarian class has been requested. The plans are endless! I also do dinner party classes in your home – I cook you learn and eat; as well as group and individual classes. Please contact me if you would like more details on any of these. When I left college (a few years ago….) I could barely boil water – I though pizza and coleslaw were major food groups and takeaways were essential! So when I found myself in paid employment I decided in the interests of survival to sign up for a cookery class, vegetarian of course. The class was hands-on, given by a lovely girl in Ballsbridge. It was great fun and I learned lots – you have no idea how basic my knowledge of all things culinary was at that time. My memories of the course include the couple who read 3/4 lb carrot as 3 to 4 lbs and then spent a class doing nothing but peeling carrots; my ‘landlady’ Siobhan waiting for me to come home with Wednesday night dinner and a realisation that I did not like kidney beans! 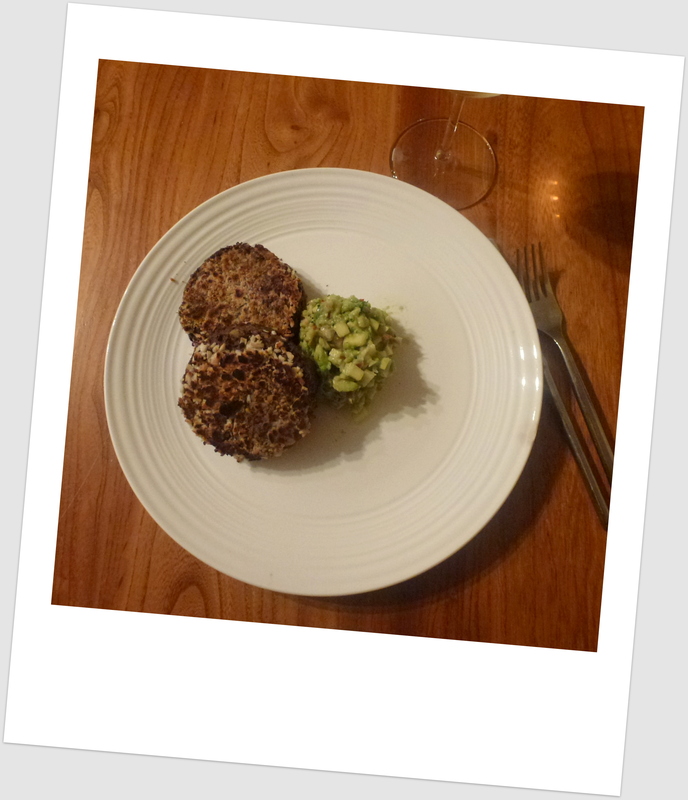 One of the recipes from this course that I still use is one for Black-eyed Bean Burgers . In fact we serve them as a vegetarian barbecue option. Last Saturday I wasn’t really in the mood for cooking (I know, hard to believe) so I was delighted to find a few of these burgers in the freezer and I paired them with the mango and pomegranate guacamole leftover from Friday’s book club – happy days! The recipe was requested after I posted a photo of the dish on facebook . I know the original recipe included sautéed mushrooms but I omitted those and from memory for this batch I added in some oyster sauce and used mixed nuts. Thinking about it I might try adding red peppers and chilli sauce the next time…….. If the mix seems dry add a little stock. Using a chefs ring form into burgers, then ‘top and tail’ with the remaining breadcrumbs. Bake in the oven (180 C/ Gas 4) for 10 mins until breadcrumbs crisp or if you prefer shallow fry them. The original accompaniment to these was Sweet and Sour Sauce and Brown Rice – well it was the nineties! I serve them with a home-made coleslaw for barbecues but the guacamole really worked as well. 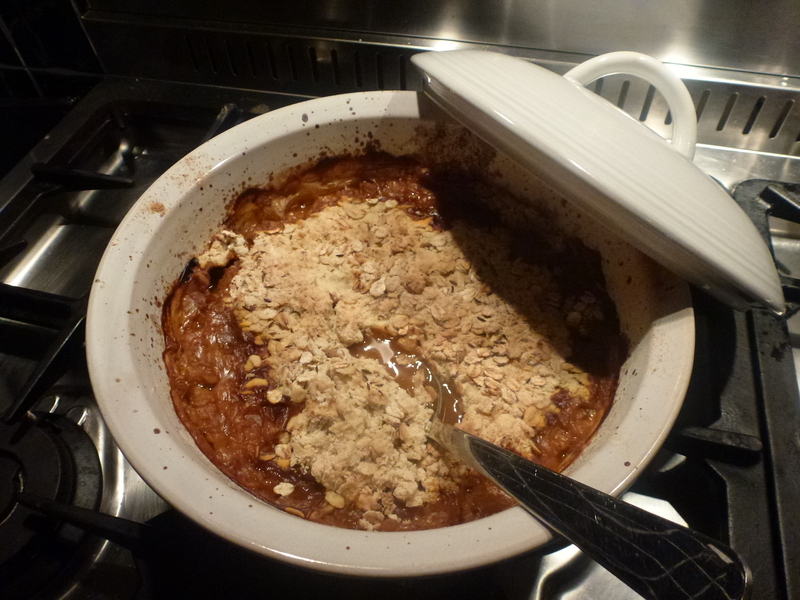 It was a recipe from Gourmet magazine that I picked up in Canada – it’s already in the favourites folder! PS The Chief Taster has requested that I point out he is not in favour of these vegetarian posts and could I please do a carnivore dish for the next one. 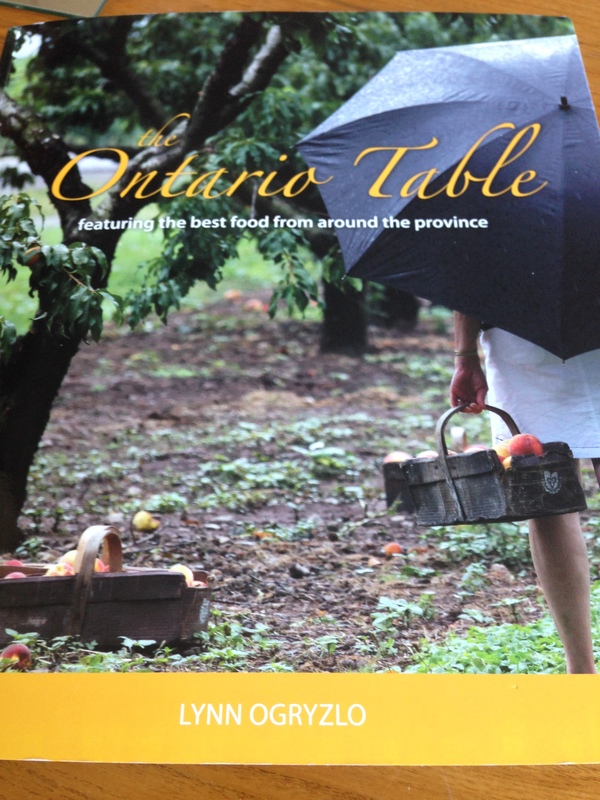 As I may have mentioned not only do I collect cookbooks I also collect recipes…. Also did I mention that I was a vegetarian for about 14 years? I was talking to the guys in my local vegetable shop, The Farmer’s Gate, about recipes we could give their customers that use produce from the shop. So I went back through my recipe notebook for inspiration and came across this one for Savoury Vegetable Crumble. I think the original came from a vegetarian magazine way back when I was dedicated to the cause. It’s been adapted a bit over the years and here’s the latest version. You can use any mix of vegetables for this dish but winter root vegetables work really well. Tonight I used leeks, celery and carrot as they were in my vegetable rack. I also added a red pepper for colour. 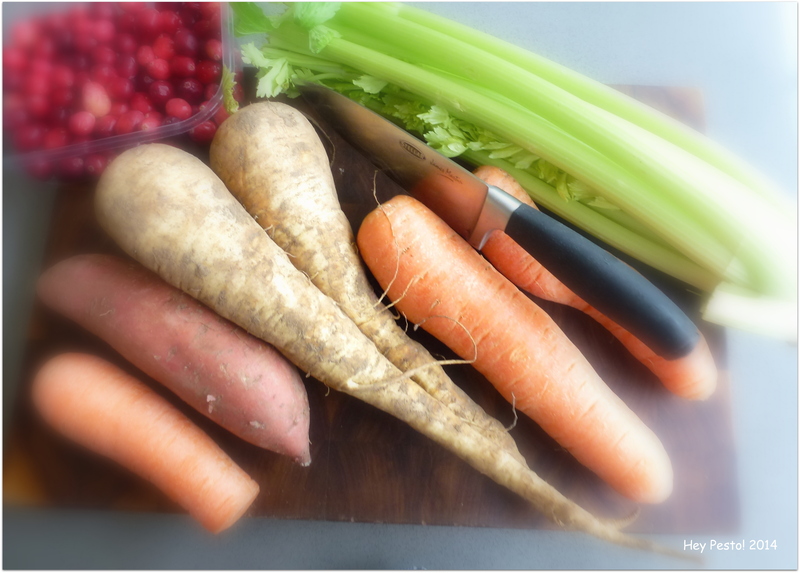 Mix of vegetables – such as 2-3 carrots, few sticks celery, 2 parsnips…..
Sauté the onions and the chilli until soft but not coloured. 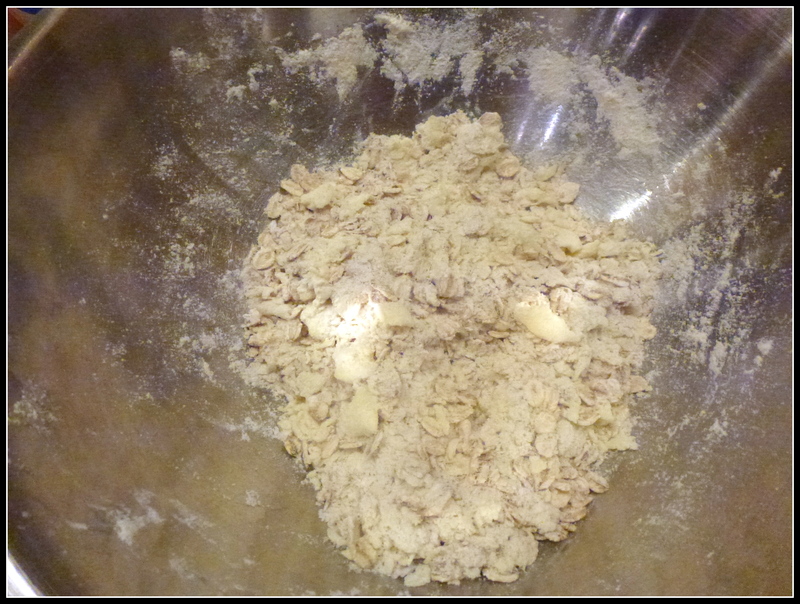 Dry fry the cumin and coriander seeds for a minute then grind in pestle and mortar with the other spices. Then add to the onions and chilli and cook for a few mins. 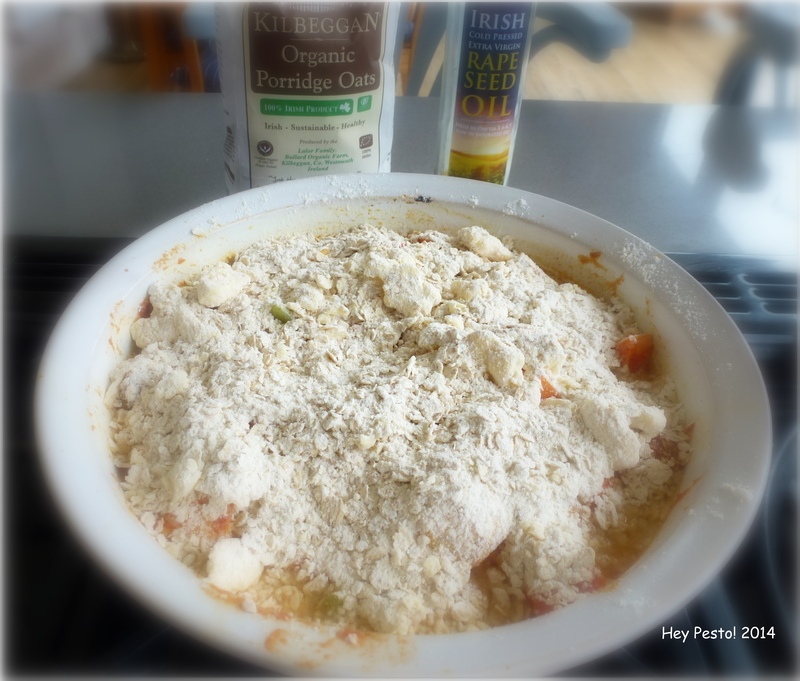 Add in the purée, cook for another minute, add vegetables and toss to coat in the spice mix. Finally add in the stock and the beans. 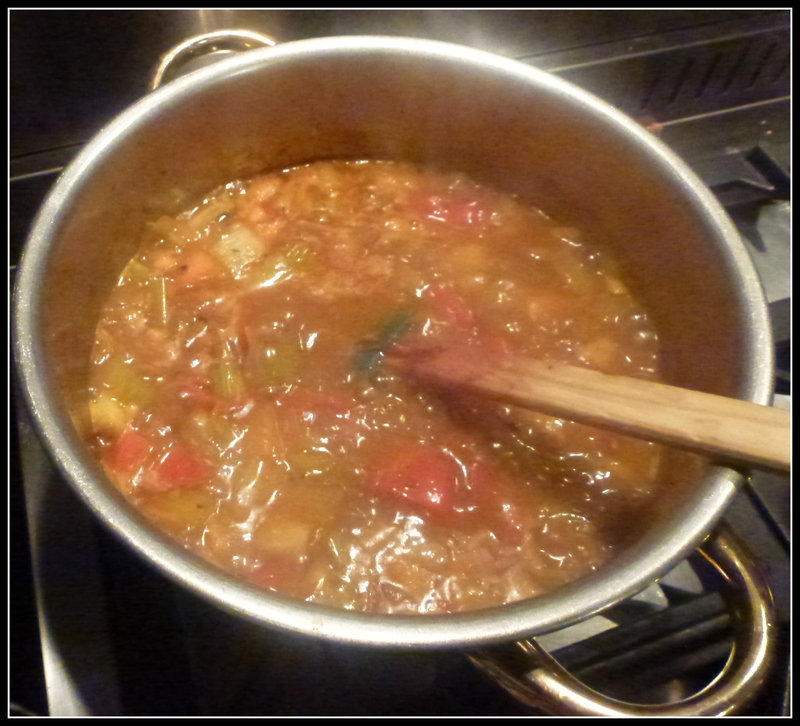 Bring mix to the boil and then simmer over a low heat for 15-20 mins. 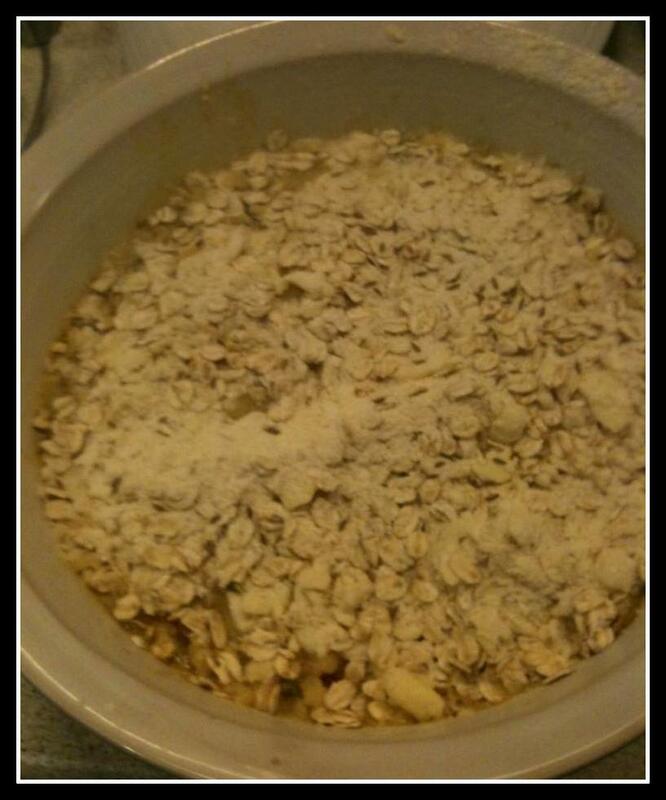 Make the crumble by rubbing the butter into the flour and then add in the oats. 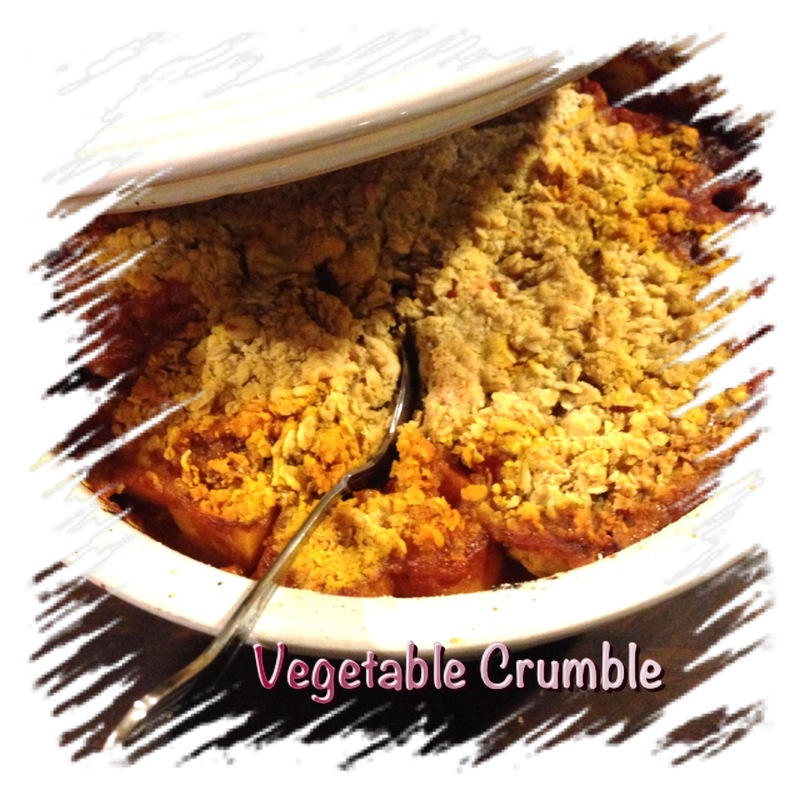 Transfer the vegetable mix to a casserole dish and scatter the crumble over the top. 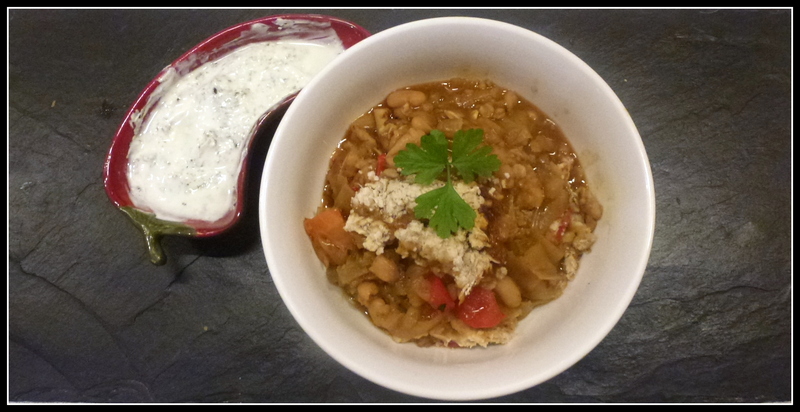 I served the dish with some minted yoghurt – a perfect warming dish for a dark winter’s evening! 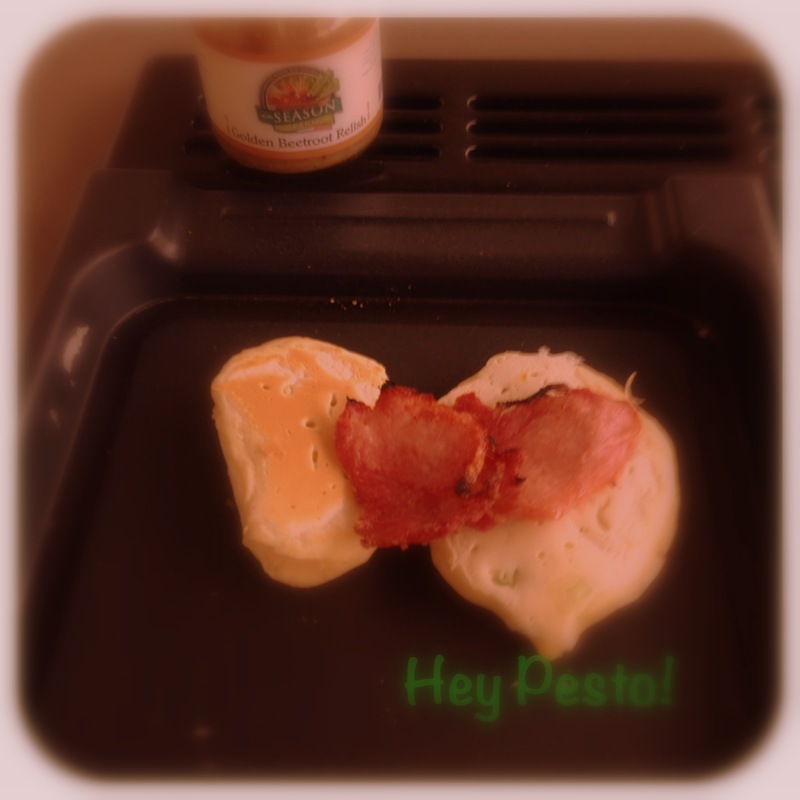 And yes, before you ask – it was the rasher sandwich that ‘brought me back’!